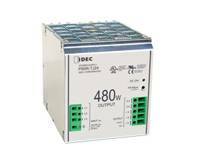 At IDEC, power supplies aren’t just an “add-on” product; they are the foundation of a reliable application. They are committed to upholding the highest standards of manufacturing and design to produce a complete line of power supplies that outlast and outperform the competition. As such, there are many variants within the range, allowing you to find the best PSU solution for your application. Our versatile line, the PS6R power supply series, are the first in the industry with attachable DC-DC converters that provide multiple voltage outputs from one unit! 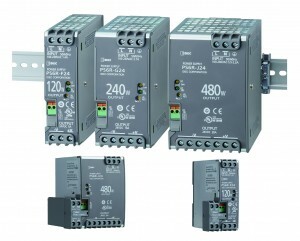 Simply add a DC-DC converter expansion module to the PSU and you have access to additional voltage outputs. 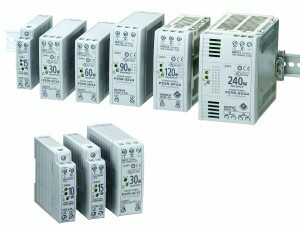 These DC-DC module give you access to +5V, +12V, 5V &12V, -12V & +12V, -15V & +15V, thus allowing you to meet the ever-changing demands of your application. Another feature of the IDEC PS6R PSU is he alarm output feature, provide a pre-warning of output failure. These power supplies combine big power in a small package, providing space savings and less wiring time. The bottom line is a less expensive system build and the flexibility to change your power requirements as your application evolves. At Sys-Tek, we use product innovation as our standard to meet your needs. Take a look below for a snapshot of how we have changed the industrial power supply landscape. The latest PS5R-V series carry on the strong legacy and proven track record of the PS5R and PS5R-S family by providing expanded temperature ranges, increased efficiencies and greater MTBF values, all in housings that are significantly smaller than previous generations. PS5R-V also features an impressive list of approvals and certifications, including UL 508, SEMI F47, Class I Division 2 for hazardous locations, and RoHS. The value they provide is exceptional, and the cost savings they bring are impressive! All IDEC PSUs come with a comfortable 5 year warranty.